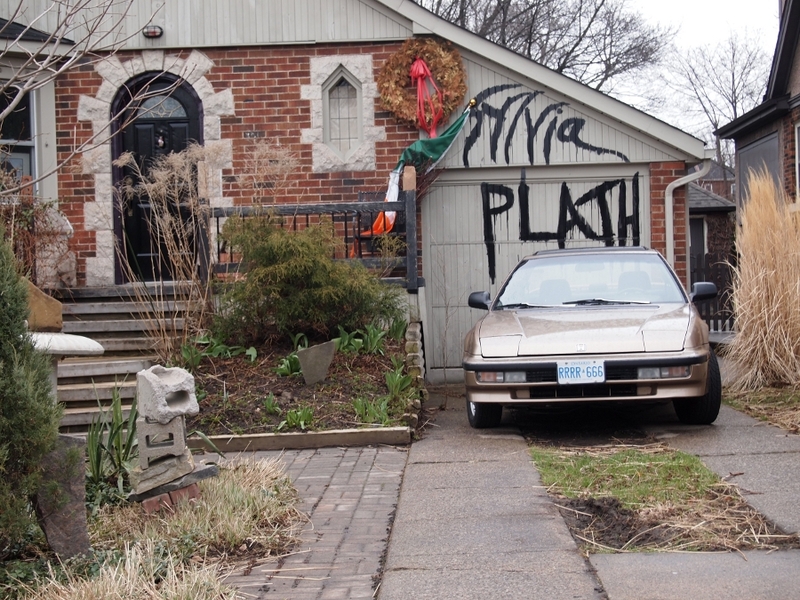 Some one in our neighbourhood loves Sylvia Plath. However this expression of it makes one wonder if they need their serotonin levels corrected as urgently as they have tagged their house. Hope all is well. That’s some groovy homespun graffiti.